Travellers who reach Brussels by plane, land mostly at the international Zaventem airport, at 13 km from the city. The Belgian stop, which is the more important of the nation, is daily linked up with the main European cities and there are frequent flights even to the most important destinations across the ocean. Passengers who arrive by plane can reach the centre of Brussels both by train and by bus; the railway link is available the whole day and takes less than twenty minutes, the bus service runs during working days and its terminus is the station of Bruxelles-Luxemburg. The minor airport of Brussels South is situated in Charleroi, 46 km from the capital; this airport has flights towards 11 European destinations and it is well linked up with Brussels thanks to a frequent bus service. Motorists have at their disposal an extensive road system, with an excellent connection to the neighbouring countries. The well-groomed and illuminated Belgian motorways are completely toll free. Those who get to Brussels from the south, take the E411, while the ones who arrive from France can follow the E19 and those who come from Germany the E40; even the links with the United Kingdom are good, thanks to the tunnel that crosses the Channel. The city is sited in the centre of a good railway system and it has a lot of links with the main European centres; the stations are, among others, the Gare du Midi, Gare Centrale, Gare du Nord, Gare du Luxembourg and Gare Schumann. Thanks to the advanced system of the high speed trains (TGV) the Belgian capital can easily be reached from France, Germany and the Netherlands in a time-saving manner. 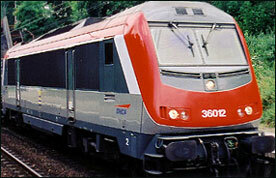 The station of reference for those who come from abroad is Gare du Midi. The “Thalys”, recommended for its comfort and speed, is a high speed train which links up Brussels with 19 French cities, the Netherlands and Switzerland with not very prices, but the tickets are not exactly cheap. 3 lines, covering a distance of 40 km and 5 railway stations: the underground railway is surely the most rapid means for moving in the city. The carriages run until midnight and in order to while away the time at the stop, it is possible to admire the works by some local artists, which embellish the underground stations’ walls. Equally many-branched, the tram network consists of a dozen of lines; some of them run underground in order to link up with the underground railway’s routes. Numerous buses, that cross the centre from one side to the other, complete the public transports system.